What do panning for gold, splashing in a spring-fed swimming pool, touring civil war battlefields, rafting a wild and scenic river, exploring mysterious prehistoric Indian mounds, picking heirloom apples and visiting the seat of 19th century Cherokee culture have in common? You and your family can find all these activities and dozens more in the mountains of north Georgia. Just a few hours from Atlanta, this region is rich in natural and human history. Hike to Brasstown Bald, tube a cool mountain stream in alpine Helen, search for stalactites in the Cave Spring Cave or simply tour the backroads to find the perfect picnic spot. 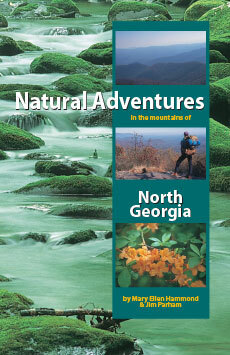 For each activity or destination, the authors provide historical background, how-to information, or interesting facts. Find out when to go, what to expect and how to get there in this illustrated guide for adventurers of all ages. 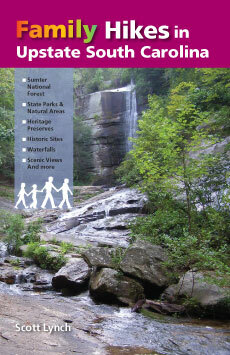 Guidebooks by Jim Parham include: Waterfall Hikes of North Georgia; Day Hiking the North Georgia Mountains; Backpacking Overnights: North Carolina Mountains & South Carolina Upstate; Road Bike North Georgia; Road Bike the Smokies; Mountain Bike Trails: NC Mountains & SC Upstate; Hiking & Mountain Biking Pisgah Forest; and Mountain Bike Trails: N GA Mountains & Southeast TN.